In the restaurant industry, we have a love-hate relationship with the weather. Even when it’s not causing drastic, sudden changes, the weather can have an enormous impact on the day’s sales and success. 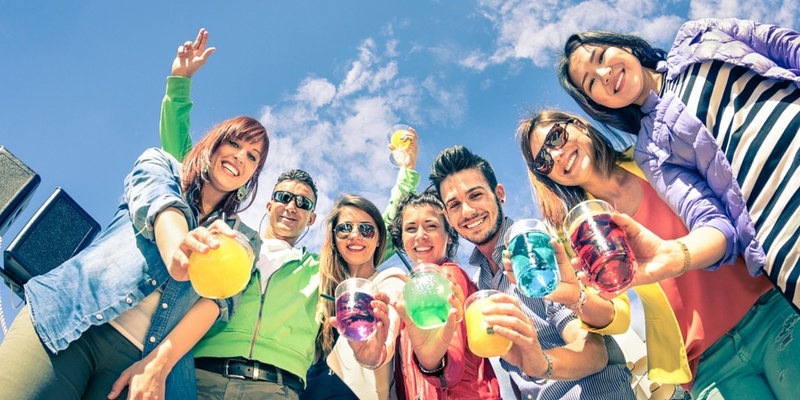 What if you could be one step ahead of those showers or that happy hour blast of sun? Well, as they say, there’s an app for that! 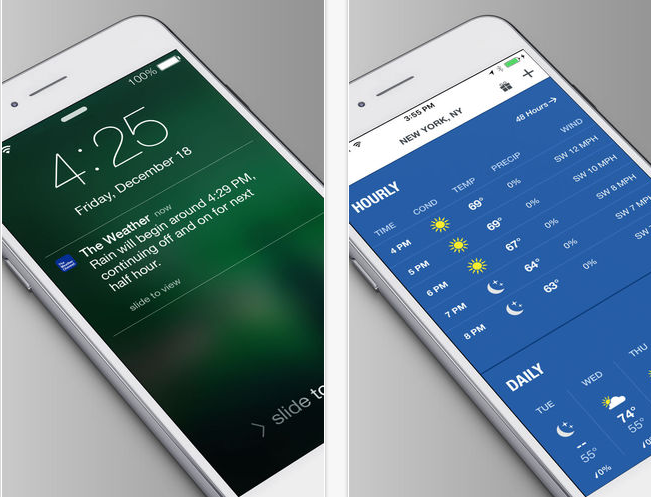 Today’s weather apps have evolved to include a range of intuitive features that allow you to stay on top of the forecast—and at multiple locations! Here are a handful of the top weather apps for the restaurant industry. 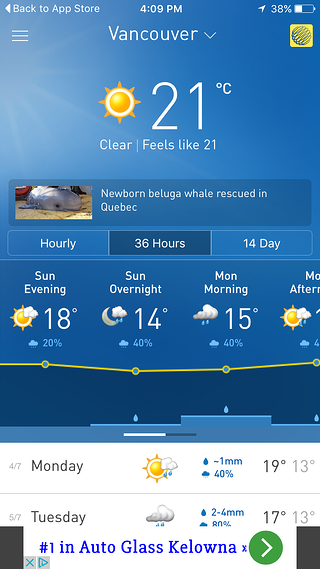 It’s a TV station many weather-lovers have come to know and trust, and with detailed, accurate forecasting as well as weather news, the current version of The Weather Network’s app has quite the following too. ‘Follow me’ functionality. This feature lets you choose your location, and have automatic updates for conditions within 1 kilometre of where you're located. Multiple locations. Prepare for what the day and week will bring to all your restaurants by selecting multiple cities for your locations. Storm alerts & custom notifications. It’s true! Your app will let you know when storms are approaching your saved locations so you can prepare staff for that flash rain. 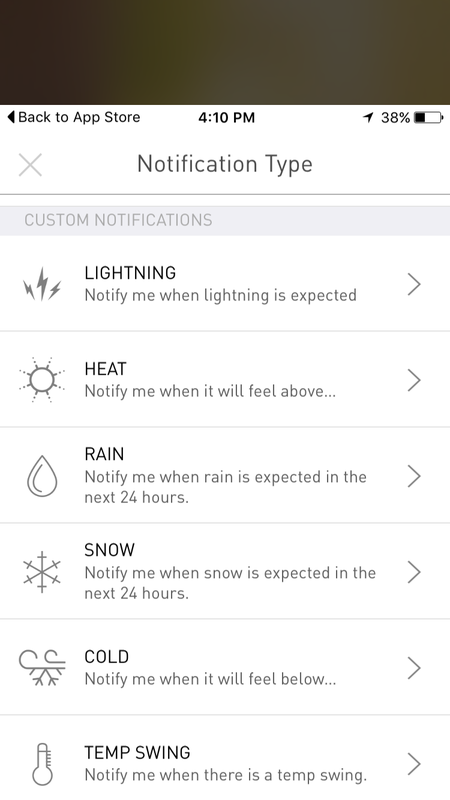 You can also customize other notifications for cold, heat, snow, lightning and rain. Three forecasts in one. From the home screen, choose to view the hourly, 36-hour or 14-day forecast. The hourly screen helps you predict and prepare for how changes are going to affect the floor or the patio. Updates are made every 15 minutes. Forecasts include ‘feels like’ temperature for a more accurate estimate of how the weather conditions would feel for guests on your patio. Tips for use: Click on the menu icon at the top left corner to view all the types of content you have access to: push notifications, news, attractions, maps , video, tips and charts. Some users don’t like the Google ads at the bottom of the screen. The app is free. You get weather-related news content at the top of the screen (ie ‘Tornadoes expected as storms spark on the Prairies). This is the app where “conditions come to life.” That means your visual cues aren’t icons of a smiling Mr. Sun, it’s a stunning photograph of a sunny park in your city! Yes, this app is beautiful, but does it offer the forecasting functionality you and your restaurant can count on? Mostly, yes. Comprehensive data in motion. Scroll down the home screen to see falling rain, windmills turning, and the sun curving to show how close it is to dusk or dawn. For many of us visual learners who have mere seconds to spend on the screen before getting back to the floor, these animations are a welcome touch. Sunset times. The app tells you when it’s going to be sunset tonight so you can plan for your team to get the blankets, heat lamps and candles out to the patio! Photos of your city. As mentioned above, home screen imagery matches your location, time of day and weather conditions. They’re usually pretty cool views, like New York's central park or Calgary’s downtown. Multiple locations. Easily add several cities so you know what’s happening at your other restaurants. Tips for use: Scroll horizontally to view top conditions in different cities. Scroll vertically for detailed information about an individual city. 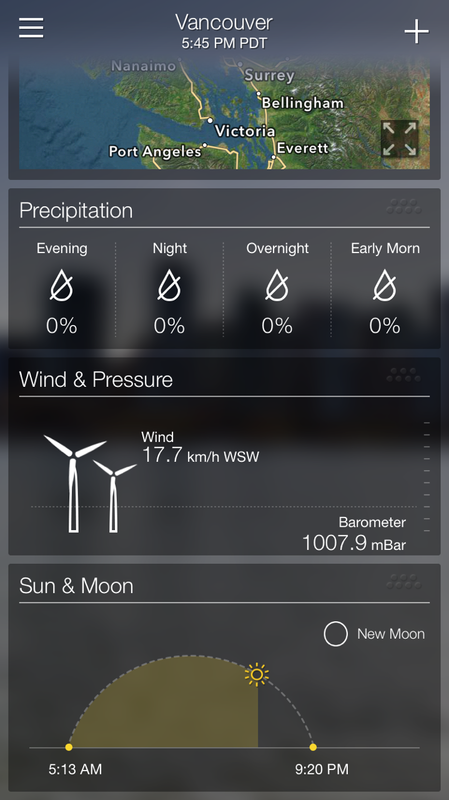 Go into settings to customize units used to measure temperature and wind speed. In the past, some users have reported frequent bugs and freezes. There are also ads for things like dating sites and skin-tightening solutions. Lastly, notifications for severe weather alerts are only for US cities. You can submit your own photos to the app through Project Weather on Flickr. For those that can’t get enough of the weather (it does make for good small talk), The Weather Channel’s app offers layers upon layers of detailed forecasts as well as cool complementary content (that may or may not impact how you prep the restaurant for the day), such as a six-minute morning show clip and pollen counts. Alerts. Alerts. Sign up for alerts for severe weather, lighting, rain and snow so your team knows whether to prep a hot chocolate or a long island drink feature. Dynamic, real-time current & future conditions by the hour, weekend or 15-day stretch. Forecast details change based on your location and time of day for up-to-date information. That report (‘a brief rain shower will begin around 12:40 pm’) lets you give guests a heads-up about the rain and that they can probably stick it out under the umbrella. Get social. 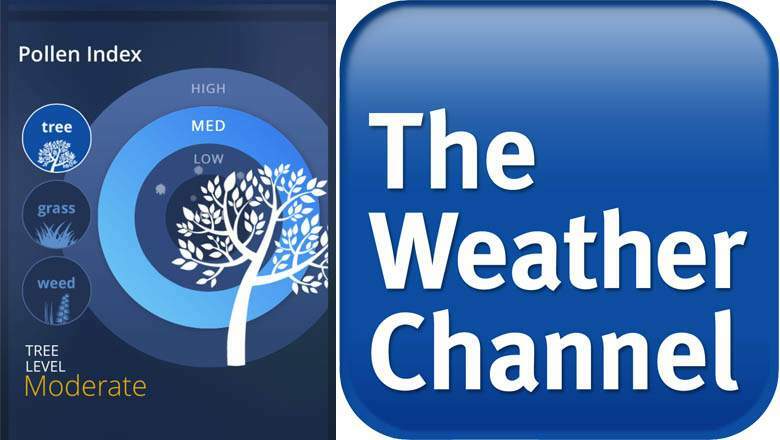 The Weather Channel encourages users to share reports and pictures of weather experiences. Could be a subtle way to plant the ‘patio time’ seed! Cool (and 3D) radar maps. Useful if you want a 30,000-foot view of your region when you have multiple restaurants under your watch. Tips for use: Disable the mPLUS rewards function in the app menu, or activate it by clicking on the gift box icon at the top of the home screen. Some users don’t like how recent updates have made the 15-day forecast inaccessible in a big picture way (the app drills deep into each day instead of giving a two-week snapshot). You can pay $3.99 to have an ad-free version. There are also some pretty stunning background images that match your conditions. We hope you find value in one of the 3 options we've listed, but if there are any others you'd recommend please let us know in the comments below! Now that you’ve got the forecast to get your restaurant ready for whatever the day may bring, ensure you’ve got just the right amount of servers on the floor for the season with smart and easy-to-use restaurant scheduling software. With year-over-year data, you can schedule smarter and improve profits. Get in touch.